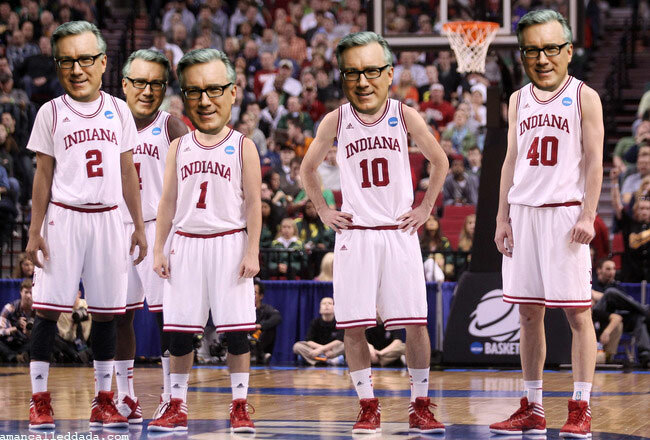 Triumph of a Man Called Da-Da: Back Home Again in Indiana -- With Keith Olbermann? Back Home Again in Indiana -- With Keith Olbermann? 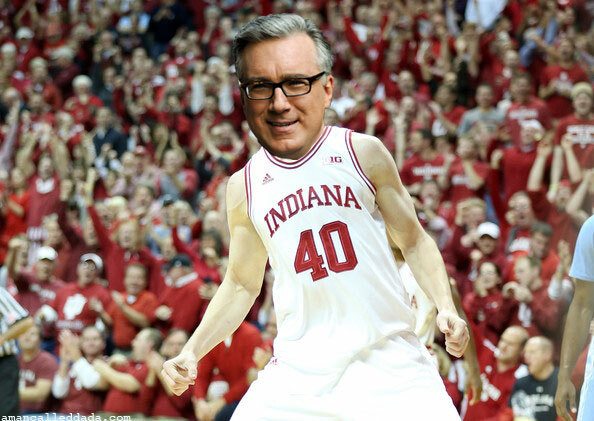 Is Keith Olbermann a closet Hoosier? And has he offered us a musical clue? Da-da used to be a musician. He is in fact, a recovering musician, but the treatments don't seem to be taking. Anyway, Da-da has perfect pitch and perfect pitch memory, so he can hear songs within other songs all the time... not to mention UFO transmissions, which explains Da-da's foil hat... but Da-da digresses. Musical Mystery case in point: the mysterious sign-on/sign-off tones on Keith Olbermann's eponymous new ESPN show. Hear those first four tones -- or more specifically, notes? Those are the first four notes of, "Back Home Again in Indiana," or as jazz musicians call it, "Indiana." Here's the actual tune, sung by Straight No Chaser. No offense. Hear those first four notes? Close enough for jazz. Speaking of segues, Keith himself is a native of NYC. Perhaps this is just what he wants people to believe. Indeed, those four mystery tones, a musical toss-off at face-value, may have a deeper meaning. Perhaps Keith is, in actuality, a Hoosier, but denies his Hoosierness, acting out his guilt, either consciously or subconsciously, with those puzzle tones. Maybe it's 'cause KO has SIX lumbar vertebrae instead of five. Or Keith is a closet Hoosier and plays secret night basketball. Or worse -- like Da-da -- Keith is a genetic Hoosier, a stranger in a strange land. Or it's entirely possible that there's a truly terrible reason THAT WE MAY NEVER KNOW. Btw, a Hoosier is someone who repeatedly asks, "Who?" until you hit them with a shoe. Ok ok, it's actually a demonym for someone who comes from... yup, INDIANA. Originally from the old Cumberland-dialect word, "hoozer," its Anglo-Saxon derivation results in, "hoo" meaning high or hill and, "zer" meaning player with round ball. Whatever the reason Keith did what he did, or why Hoosiers are called Hoosiers, Da-da's keeping an open mind. The world's too weird not to. But if you need a further example of KO's innate Hoosierness, just take a look at IU's roundball team this year. 'Nuff said. P.S. Da-da really likes Keith Olbermann, regardless of his incipient musical neurosis... probably because Da-da is in fact the Living Embodiment of incipient musical neurosis. It's one of the many reasons Da-da wears bandages.